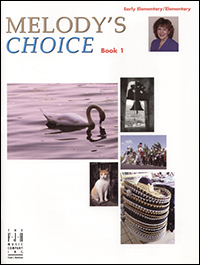 Experience a new collection containing 10 of Melody Bober's favorite compositions selected from several of her solo sheets and books such as: My First Recital Book (Volumes 1 and 2); Solos in Style, Book 2; and Hats Off to You! 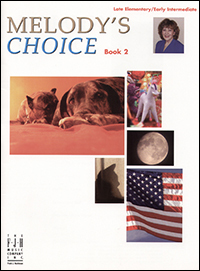 This assortment provides a diverse mixture of musical styles and moods in one book for your early elementary/elementary student to choose from. Each piece also contains a teacher accompaniment. 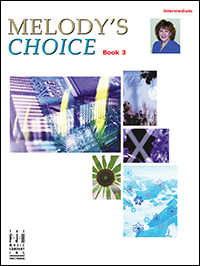 Book 3 contains eleven pieces chosen from Melody’s solo and ensemble sheets. These pieces incorporate an array of musical styles that will suit the diverse needs of the intermediate level student. 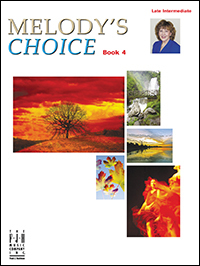 Melody's Choice, Book 4 is a collection of pieces for the late-intermediate student, selected from a wide array of Melody’s solo sheets and compilation books. With the eclectic array of musical styles and themes, these eleven pieces are sure to inspire.